A famous Chinese proverb says that a journey of a thousand miles begins with a first step. It means that even the most complex, scary or difficult tasks have a simple start. Of course, making the decision to start a journey can often be harder than the task itself. This can often be true when making decisions regarding your health. At Total Chiropractic Care and Wellness, we know that choosing to seek chiropractic treatment might be difficult for some of our patients. That’s why we want to give you as much information as possible about what to expect at your first chiropractic visit, so you feel confident as you take that first step on your journey towards wellness. There are many reasons why people seek chiropractic care. Very often it’s for accident injury and pain management. Patients seek treatment for lower back pain, neck pain or headaches. According to the American Chiropractic Association, chiropractors “care for patients with a wide range of injuries and disorders of the musculoskeletal system, involving the muscles, ligaments, and joints. These painful conditions often involve or impact the nervous system, which can cause referred pain and dysfunction distant to the region of injury.” Chiropractic care also extends to general health issues and often a chiropractor will counsel patients on things like diet, exercise, and healthy life habits. When you come to your first office visit, you’ll find some things are similar to your visits to other medical offices, while others aren’t. We treat every patient like an individual and don’t take a cookie-cutter approach to your health. As is common with most doctors, we will ask you detailed questions about your medical history. We’ll have questions about any pain you might be suffering. We’ll try to find out when and how your pain began, so we might ask if it came as the result of an accident injury. We’ll want to know what areas of your body feel pain and how often it’s felt. 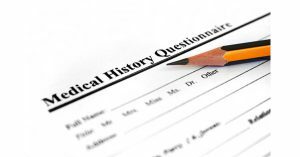 Your medical history will be followed by a physical examination. Some of this will be standard medical tests. We will also perform neurological and orthopedic tests. We will try to get a sense of your muscle strength and your range of motion and figure out how much of your pain is related to your nerves. One test that we may not ask for right away is an x-ray. We only take them if there’s an important reason to do so, such as to confirm a diagnosis. When you’re done with the examination, you will receive a consultation from Dr. Todd Goldman. He will talk to you about whether or not chiropractic care is right for you. We will be upfront with you if surgery or another procedure is a better option. We want our patients to know that we are realistic about our expectations. But if our tests and an examination of your medical history show that there is a problem we can help you with, we will discuss your treatment options. Dr. Goldman is certified in many types of chiropractic treatment for pain management and our office offers a number of services such as spinal decompression, hydro massage therapy, cold laser therapy, physical therapy, trigger point therapy and orthopedic surgery. All of these treatments are covered by insurance. If you’re ready to begin a journey towards wellness, contact us today.